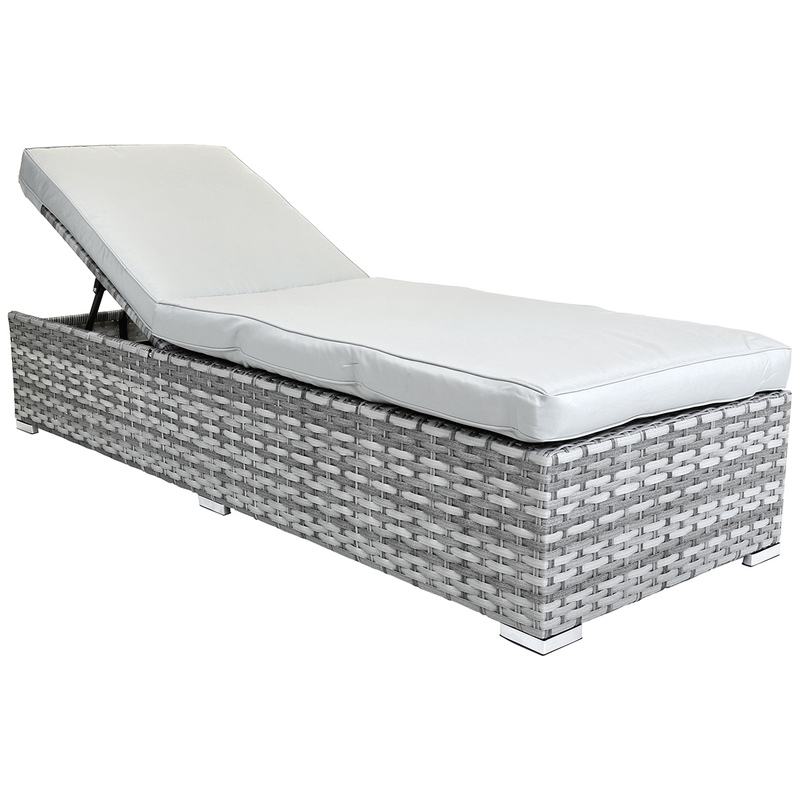 Perfect for relaxing by the pool on warm summer days, this premium rattan sun lounger is ideal for both indoor and outdoor use. 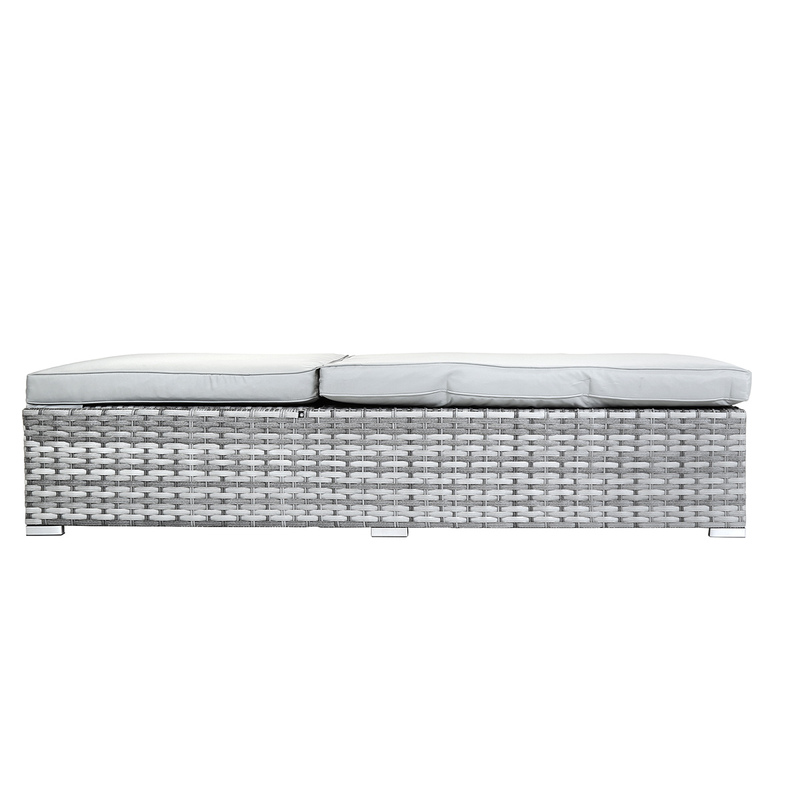 Constructed with a robust aluminium frame, the lounger is finished in a beautiful weatherproof half-round weave rattan. 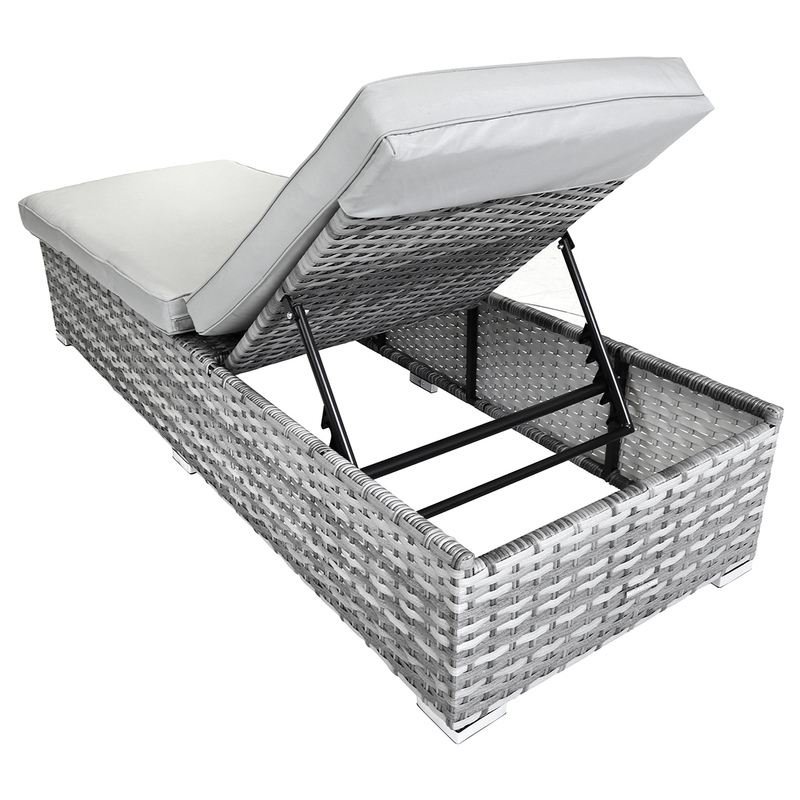 Easy to maintain, this sun lounger can withstand the elements and is completed with a thick seat cushion for added comfort. With a choice of five reclining positions, you can adjust the recliner to suit your individual needs. 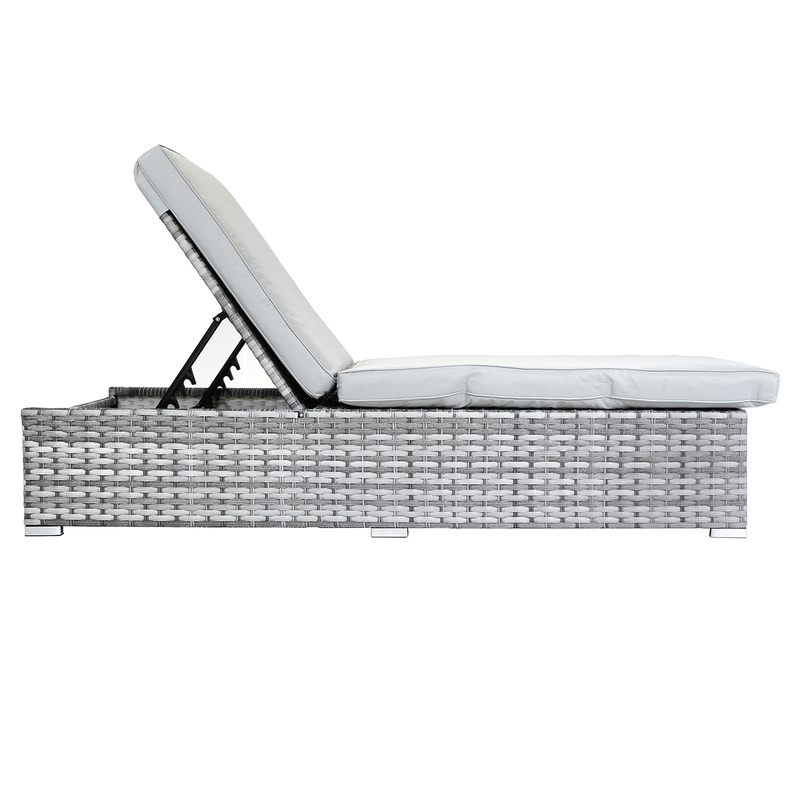 Finished in a light grey tone, this striking sun lounger will complement other furniture in our Milano rattan furniture range. Please Note: Matching outdoor furniture and accessories are available. To extend the product life and appearance, we advise storing the furniture in a cool and dry indoor place, during the winter and unexpected weather conditions. 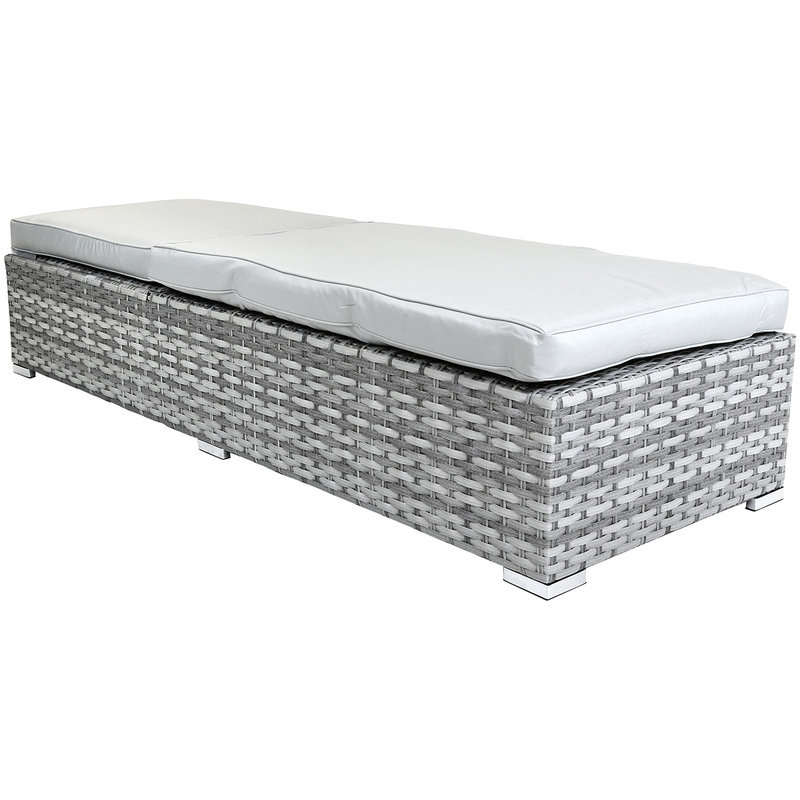 Check that the furniture is completely clean and dry before storing indoors. When not in use store cushion in a clean and dry indoor place. Wipe with warm, soapy water and dry thoroughly.